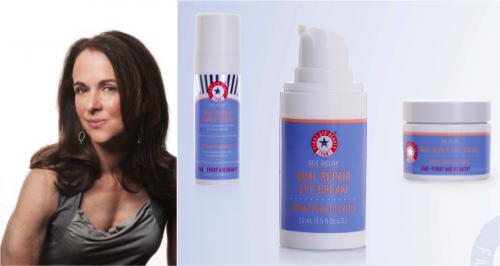 6 Weeks FAB Affair with Dual Repair AND Another Giveaway! Now, you lovelies know how hard it is for a woman like myself with such an unhealthy addiction to beauty products to stick to a single product, no less a regimen for a certain period of time. But, I promised my friends at First Aid Beauty I would commit to using the entire Dual Repair Collection for 6 consecutive weeks. 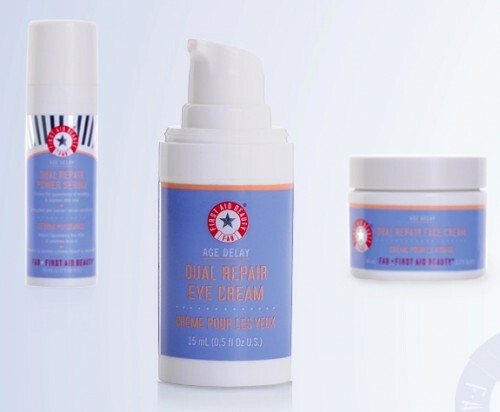 I cleared out a place on my vanity (so I wouldn’t be tempted to cheat) and set up the Dual Repair products like good little soldiers in order of application — First Aid Beauty Dual Repair Power Serum ($48), First Aid Beauty Dual Repair Eye Cream ($40), and First Aid Beauty Dual Repair Face Cream ($44).